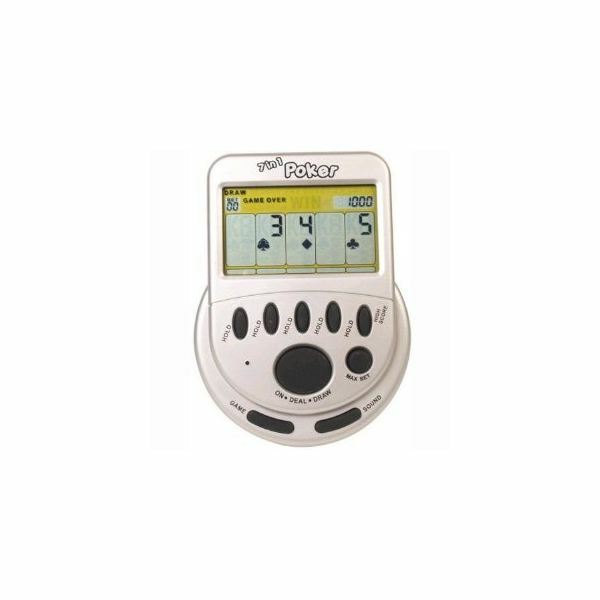 The Radica Pocket Blackjack game includes electronic scoring with the options to double down, split hands, and purchase insurance. 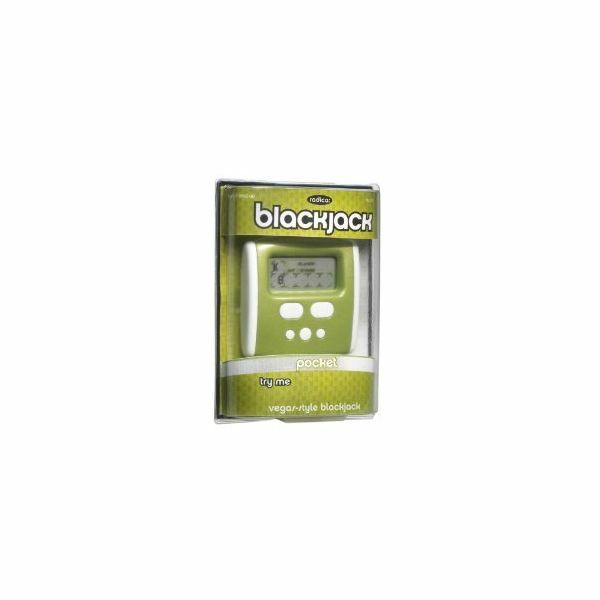 The classic blackjack play offered by this electronic casino home game will give hours of fun for under the cost of one hand. At only $6.07 it’s a perfect stocking stuffer. For $17.50 this big screen hand held slot game offers a 5-line 9-way betting system with four different play modes: Original Slot, Double Spin, Change Up, and Skill Stop. It has realistic slot machine sounds and full screen animation just like the big boys at the casino. The $9.95 price point on this little dandy of an electronic game isn’t half bad considering it offers standard blackjack, poker, baccarat, Deuces, and a slot machine. On top of all that, when you’re tired of playing you can tune in your favorite station on the built-in FM Radio. The large display screen and buttons make this a great electronic casino home game. It offers 7 poker variations; draw poker, Dueces's Wild, Bonus Poker, Double Bonus Poker, Double/Double Bonus Poker, Jokers Wild & Double Jokers Wild. At $16.48 this one is great for Christmas. 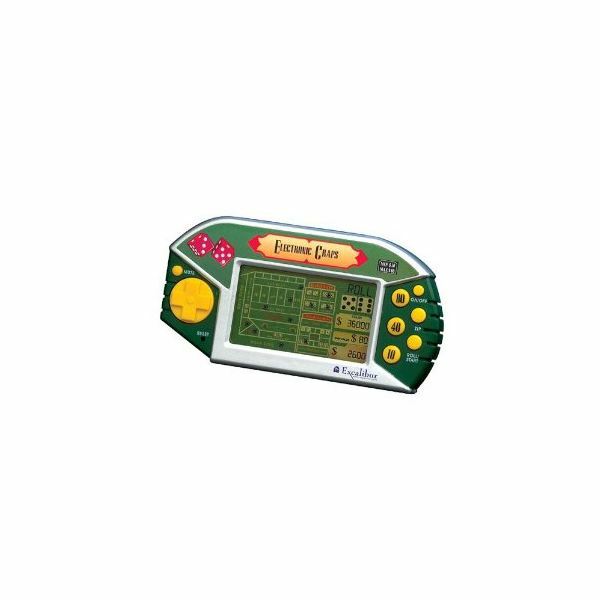 A bit more pricey, the Vegas 5-in-1 Electronic Handheld by Micro Gear is a solidly built game (not flimsy or cheap feeling like some of the others mentioned here). For $54.95 it should be. This game offers five casino games: Blackjack, Poker, Baccarat, Deuces Wild, and Slots. It has realistic casino sounds including a “cha-ching" saving bank sound. The unit is the shape of a miniature slot machine and feels nice in the palm of the hand. The $25.00 Touch Casino by Excalibur is a three game handheld that offers solitaire, Deuces Wild, and Draw Poker. As a touch screen it comes with a nice little stylus (the screen is small and those with larger fingers wouldn’t be able to use it otherwise). In addition to standard game play the Touch Casino offers card stack review, take back, and a play timer. There aren’t too many good electronic craps games on the market today. The Excalibur Hotel Electronic Craps handheld is an exception. This superb example offers a voice confirmation on all bets. It offers all of the standard craps bets including straight bets, column bets, dozen bets, corner bets, pass line, and more. 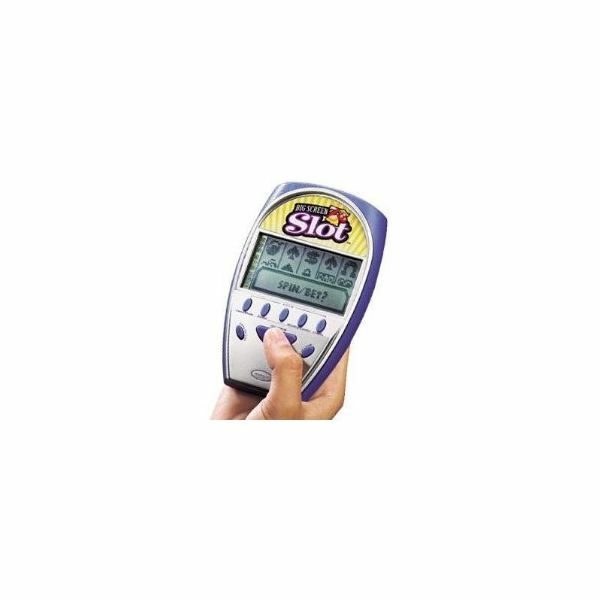 For $9.95 you even get a 4-way button for quick and easy betting. 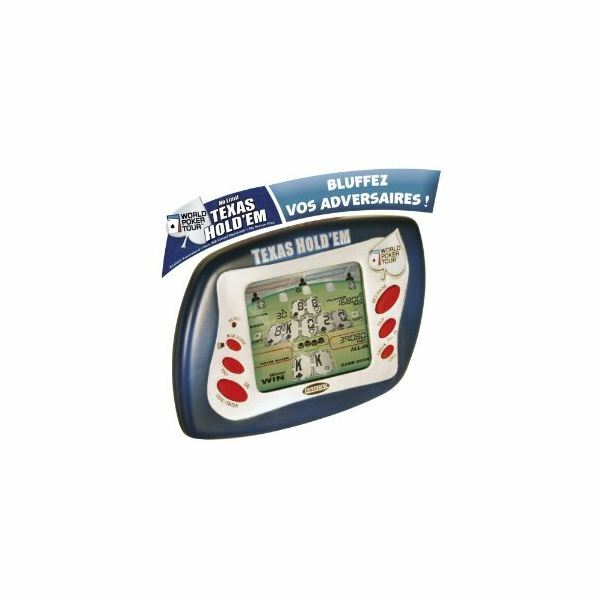 For $34.99 you can get the officially licensed World Poker Tour Texas Hold’em handheld game. This version offers tournament style 6-person tables with over 200 different computer opponents. The display is easy to read and with the sheer number of different computer opponents (all with different playing styles) this one has infinite replay potential. 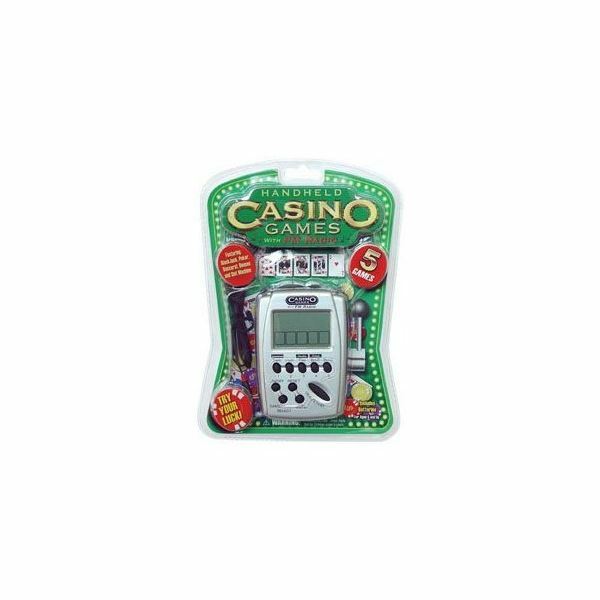 For authenticity in the home casino experience look no further than the $100.00 Ceasers Palace Deluxe 5-in-1 electronic talking handheld casino. 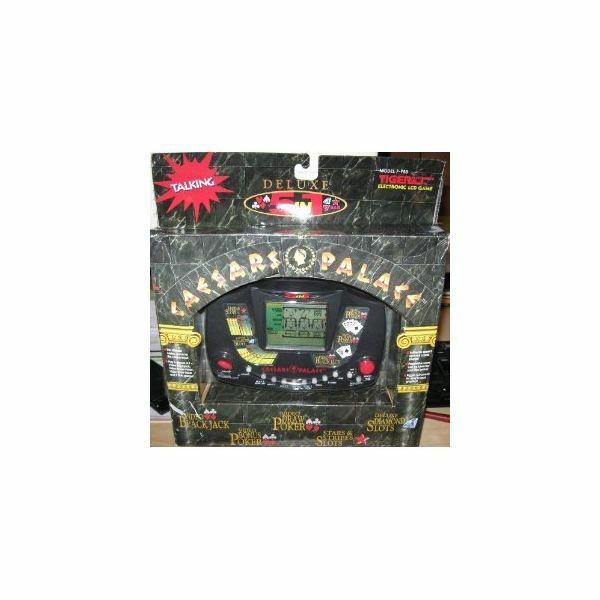 It has a large LCD screen for easy reading and offers Video Black Jack, Video Draw Poker, Video Bonus Poker, Stars & Stripes Slots, and Deluxe Diamond Slots. Progress on all games can be saved so don’t fret if you hit the big one and have to take a break. Also, every game comes with “authentic" speech and real casino sounds. This electronic casino home game experience is for the real gamer or professional in your life. 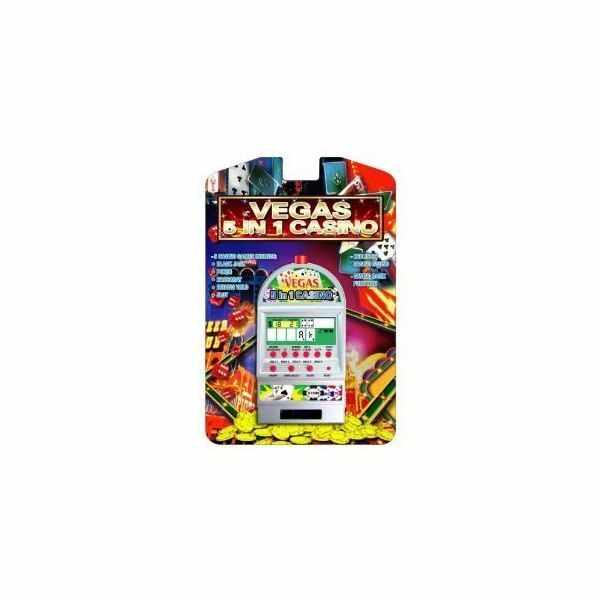 If you really want the feel of a real casino in your home try this electronic casino home game, the Laptop Video Poker Machine. The touchscreen video poker machine looks and acts just like the ones you’ll find at the casino or the bar. 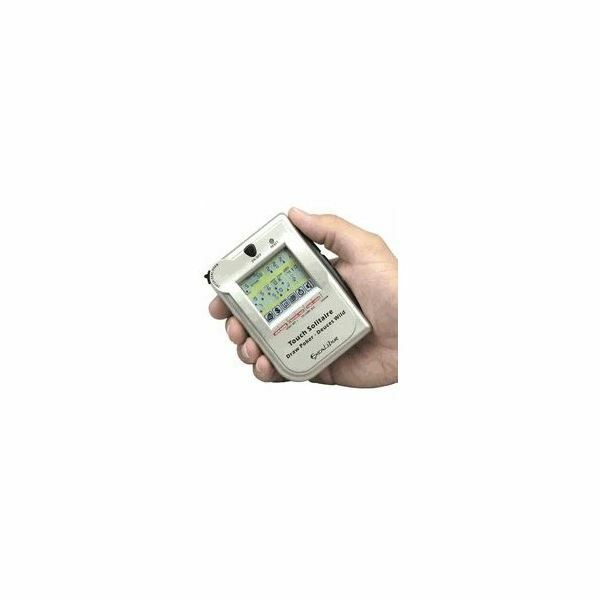 The major difference is in the display, this one is portable! At $138.56 this unit would look great in a home bar or on the kitchen counter. With a 13 x 9 inch touch screen this one blows away the competition. It offer 7 variations of poker; Draw Poker, Deuces, Bonus, Double Bonus, Double Double Bonus, Joker, and Double Joker. This foldable unit allows easy storage and movement without risking damage to the display. 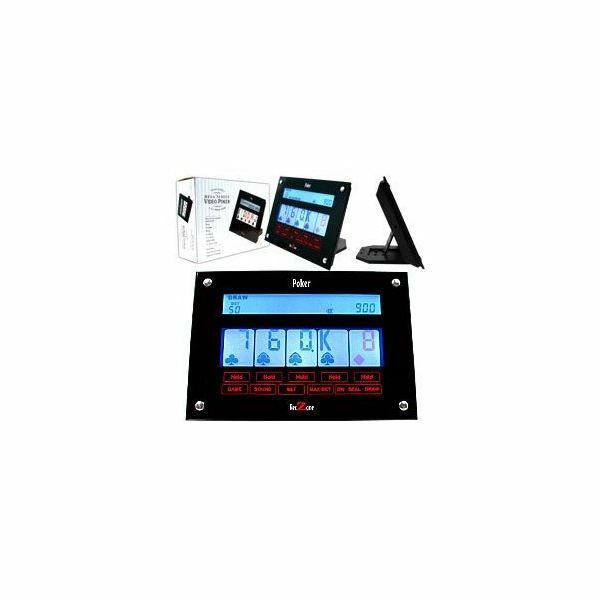 Really a nice piece of gaming equipment for someone who wants the most out of their electronic casino home games.